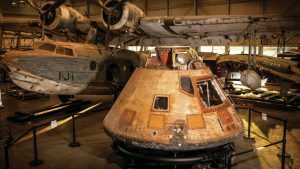 Apollo 11 capsule going on tour after decades in D.C. In 1970 and 1971, before it came to the Smithsonian, the capsule went on a 50-state tour. This time around, it will be going here: Space Center Houston — Oct. 14, 2017–March 18, 2018; St. Louis Science Center — April 14–Sept. 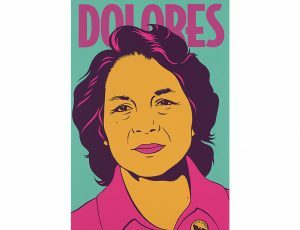 3, 2018; Senator John Heinz History Center, Pittsburgh — Sept. 29, 2018–Feb. 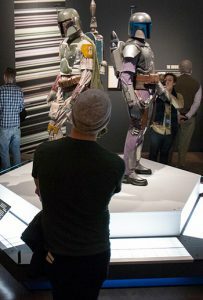 18, 2019; The Museum of Flight, Seattle — March 16–Sept. 2, 2019. Those museums were picked for a variety of reasons, including the fact that they had the capacity to display such a large, heavy object. Starting this fall, Columbia will be on the move once more—though it won’t be going nearly as far as it did on its maiden voyage. The Apollo 11 space capsule will be embarking on a four-city road trip that’ll criss-cross America over the next two years. For Houston, it will be a homecoming; for St. Louis, a product of its past. In Pittsburgh, it will be seen as a symbol of innovation; and in Seattle, an arrival worthy of a celebration. Apollo 11 command module Columbia spent 8 days, 3 hours, 18 minutes and 35 seconds in space. It spent 46 years at the Smithsonian’s National Air and Space Museum. And now it’s being prepped for a 142-day mission in Pittsburgh. 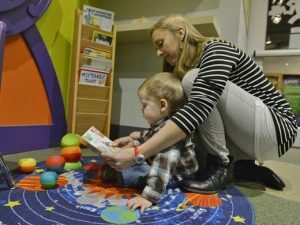 The St. Louis Science Center will host the “Destination Moon: The Apollo 11 Mission” exhibit during the 49th anniversary of the moon landing, on July 20, 2018. The Apollo 11 command module, which traveled more than 950,000 miles to take Americans to the moon and back in 1969, is going on a road trip, leaving the Smithsonian for the first time in more than four decades. As the only piece of the spaceship that completed the first mission to bring humankind to the moon and return him safely to Earth, Columbia has a rich story to tell eager audiences in Houston on Oct. 14 and St. Louis, Pittsburgh, and Seattle afterward. This year, one of the most important artifacts of the Space Age, the Columbia command module of the Apollo 11 mission, will leave its home at the Smithsonian Institution’s National Air and Space Museum for the first time in almost 50 years. The historic spacecraft will be the centerpiece of an exhibition traveling to top museums across the US that will tell the story of the Space Race and the conquest of the Moon. Two students from the Telluride Middle/High School will present on their astrophotography work at the National Air and Space Museum in Washington, D.C., for a two-day National Youth Summit, Feb. 22-23. Seventh-grader Mylo Meyers Ornowski and sixth-grader Sarah Markley were selected to attend the summit because of their dedication to the Smithsonian Institution’s Youth Capture the Colorful Cosmos program, which is run by the Pinhead Institute, one of 13 Smithsonian affiliates that participated in the initiative. California African American Museum deputy director Naima J. Keith has been named the winner of the High Museum of Art’s David C. Driskell Prize, which is awarded annually to a scholar or artist who has made a major contribution to African American art history. The Rockwell Museum is getting ready for the kickoff of its Smithsonian Speakers Series. This is the first time the Rockwell is holding an event like this, and the goal of this series is to identify leaders in the Smithsonian network while exploring diversity. Kona Historical Society was presented with a certificate of honor on its 40th anniversary for efforts to preserve local history and share Kona’s culture with residents and visitors. The Schingoethe Center of Aurora University begins its 2017 season with an opening reception for “art of facts: Brian Dettmer,” Tuesday, Feb. 7, 5-6:30 p.m. The reception will be followed by an announcement designating the museum as a Smithsonian Affiliate. The Railroad Museum of Pennsylvania (Strasburg, PA) has met a $50,000 matching grant challenge by the Pennsylvania Railroad Technical & Historical Society, with funds designated for the preservation of five historic Pennsylvania Railroad steam locomotives. Preserving History, Building Community” project. This project will focus on the A.G. Gaston Motel as a case study for preservationists and the community to work in partnership to preserve and revitalize a historic civil rights site. Lowell National Historical Park (Lowell, MA) in partnership with Lowell Community Health Center, Cambodian Mutual Assistance Association, City of Lowell Senior Center, Lowell Middlesex Academy Charter School, and YWCA of Lowell has been selected to receive a 2017 Active Trails grant from the National Park Foundation, the official charity of America’s national parks. The Discover Lowell’s Urban Trails initiative will offer new outdoor recreational programming to Lowell’s canalway trails and will be targeted toward non-users in adjacent neighborhoods. The Kenosha Community Foundation has awarded 26 grants totaling over $51,000 to 22 non-profit organizations and projects serving Kenosha County residents including funding to the Kenosha Public Museum Foundation (Kenosha, WI) to support its upcoming “Re-Riding History: From the Southern Plains to Matanzas Bay” exhibit, which features how contemporary art retraces the historical experiences of American Indian communities. Former cable TV mogul John Sie and his wife Anna have donated $12 million for the construction of a new welcome center at the Denver Art Museum (Denver, CO). The new welcome center is part of the museum’s plans to renovate the North Building. When it’s completed, the new welcome center will include a restaurant, café, ticketing and orientation space, event space, underground art storage and the museum’s conservation lab. The Durham Museum (Omaha, NE) housed in Omaha’s Union Station was designated as one of 24 new National Historic Landmarks by the Department of Interior. 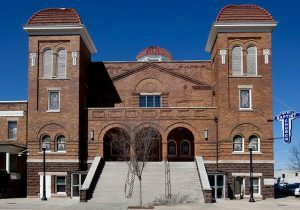 Birmingham Civil Rights Institute (Birmingham, AL) was recently designated by Former President Barack Obama as part of a new Birmingham Civil Rights National Monument. 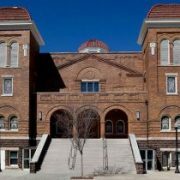 Along with BCRI, other sites designated as the monument include the A. G. Gaston Motel, 16th Street Baptist Church, Kelly Ingram Park, and Bethel Baptist Church. The Hawaii State House of Representatives presented Kona Historical Society (Kona, HI) with a certificate of honor on its 40th anniversary for efforts to preserve local history and share Kona’s culture with residents and visitors. California African American Museum (Los Angeles, CA) deputy director Naima J. Keith has been named the winner of the High Museum of Art’s David C. Driskell Prize, which is awarded annually to a scholar or artist who has made a major contribution to African American art history. Spring is stirring, and so are Affiliates with fresh activity! National Museum of American History curator Shannon Perich will give a lecture on popular culture in the 1970s at the Durham Museum to complement the SITES exhibition currently on view, Searching for the Seventies: The DOCUMERICA Photography Project, in Omaha, 3.21. 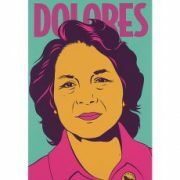 National Portrait Gallery curator Taína Caragol will lecture on Dolores Huerta for Women’s History Month at the Rhode Island Historical Society in Providence, 3.23. 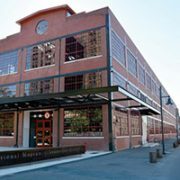 The Rockwell Museum continues with its Smithsonian Speaker Series with a talk by Adriel Luis of the Smithsonian Asian Pacific American Center, in Corning, 3.23. National Museum of American History conservator Sunae Park Evans will speak on conserving First Ladies gowns at the Long Island Museum to complement the exhibition Brilliant Partners: Judith Leiber’s Handbags and the Art of Gerson Leiber, featuring the loan of Mamie Eisenhower’s purse from the Smithsonian, in Stony Brook, 3.26. Rahim Al Haj, Smithsonian Folkways performer and oud player, presents Letters from Iraq at the Arab American National Museum in Dearborn, 3.24. 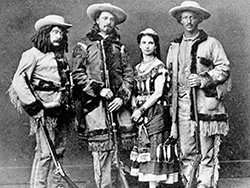 The Michigan State University Museum will host a workshop on the Will to Adorn initiative of the Smithsonian Center for Folklife and Cultural Heritage in East Lansing, 3.30. 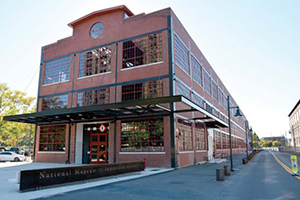 Members of the Smithsonian will enjoy lunch and tours at the B & O Railroad Museum in Baltimore, 3.30.
https://affiliations.si.edu/wp-content/uploads/2017/02/IndustrialMuseum.jpg 200 300 Elizabeth Bugbee https://affiliations.si.edu/wp-content/uploads/2019/03/si_Affiliations_rgb_single-line_color-280w-1.jpg Elizabeth Bugbee2017-02-13 17:40:092017-03-10 17:51:09Affiliates in the news! 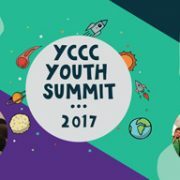 Young astronomers from across the nation will convene for an out of this world Youth Summit in Washington, D.C., on February 22nd and 23rd. The astro-photographers, ranging in age from 10 to 14 years old, have all participated in the Smithsonian Institution’s Youth Capture the Colorful Cosmos program, held at 13 Smithsonian Affiliate organizations over the past year. Participants used an online portal to control real robotic telescopes located at Smithsonian Astrophysical Observatory sites in Cambridge, MA, and Amado, AZ. 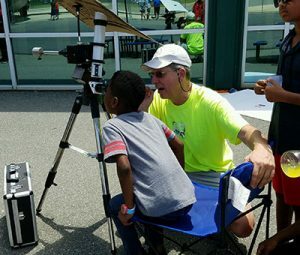 Using the same tools, technologies, and techniques as professional astronomers, the youth observed planets, stars, and galaxies; analyzed and enhanced their astronomical images with scientific software; and even designed their own robotic telescope components. A student astronomer at the Carolinas Aviation Museum. Photo credit: Carolinas Aviation Museum. While in DC these youth astronomers will share the multi-disciplinary knowledge they have gained from Youth Capture the Colorful Cosmos with the public. On Wednesday, February 22nd at 1:00pm, the youth will host a poster presentation at the National Air and Space Museum, featuring the astronomical images they have captured and processed. This poster session will be followed by a live presentation from the students, How to Control a Telescope & Create a Colorful Cosmic Image. The Youth Summit also includes events to broaden the students’ understanding of science, technology, and innovation, including programming at the National Air and Space Museum and the National Museum of Natural History. On Thursday, February 23rd, select participants will interact with a forum of Smithsonian educators to learn about their love of space, and discover how technology can enhance access to Smithsonian learning experiences. Youth Capture the Colorful Cosmos is supported by the Smithsonian Institution’s Youth Access Grants program managed by the Office of the Assistant Secretary for Education and Access. 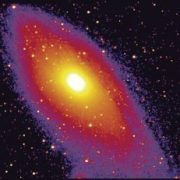 The program is a product of the Harvard-Smithsonian Center for Astrophysics in partnership with Smithsonian Affiliations, and includes participation in YouthAstroNet, a digital network of youth interested in astronomy funded by the National Science Foundation.